← Using data collection to personalize marketing efforts online and… in store! This week, the world saw a terrible attack against citizens of Paris. A city accustomed with so much joy and beauty went through hours and hours of panic, over one hundred were dead and many were wounded. My heart aches for the ones affected. Hoping for a speedy recovery for this beautiful city and for more tolerance and compassion from human beings. 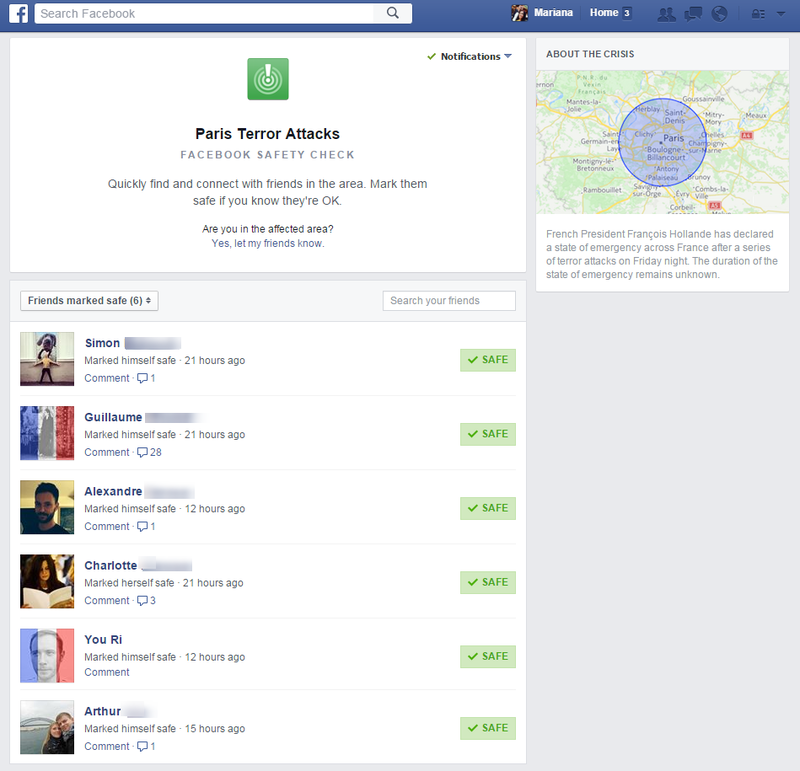 Facebook made the Safety Check page available, where people living in Paris or currently traveling in the area could mark themselves safe. The feature was first activated in April, when Nepal was affected by a deadly earthquake. Once again, people could use the feature to tell friends and family that they are ok. The feature works like this: Facebook uses geolocation to identify users who live or may be traveling in an area affected by a disaster. The social-media network then sends these users a notification asking about their safety, and encouraging them to “check in” to let friends know that they are safe. Mark Zuckerberg posted on his Facebook page: “When disasters happen, people need to know their loved ones are safe. It’s moments like this that being able to connect really matters”. I was relieved to see that all my Parisian friends were safe. 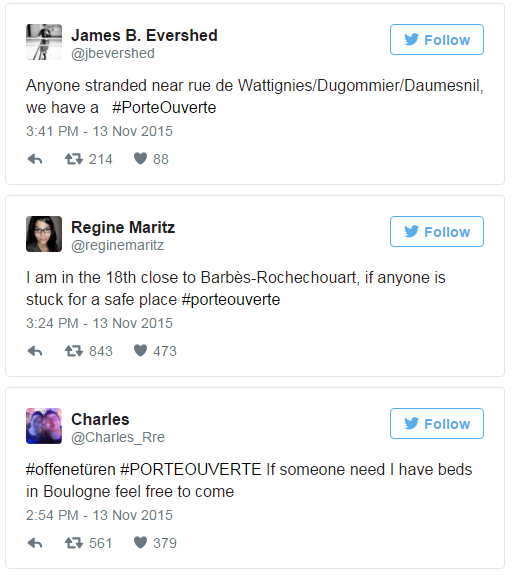 On Twitter, Paris-based Twitter users created the hashtag #PorteOuverte, which translates to ‘open door — urging other users to open up their doors to those affected by the attacks, and inviting anyone affected to take shelter in their homes. 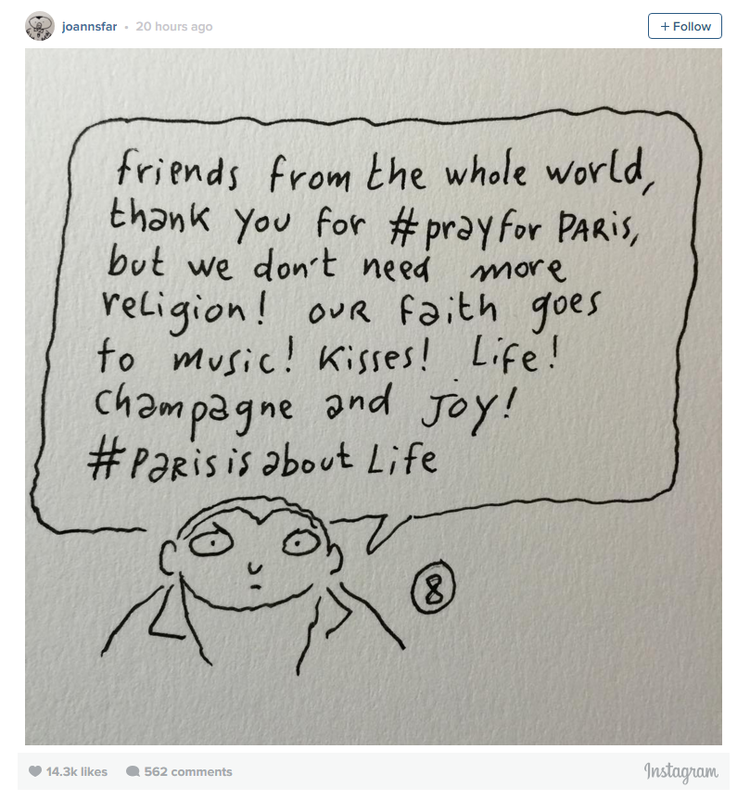 It is interesting to see how social media interacts with tragedies like this one. I applaud the initiative by Facebook, and all the French citizens opening their doors to the ones in need. This entry was posted in Uncategorized and tagged facebook after paris attacks, paris attacks, terrorist attacks, twitter after paris attacks. Bookmark the permalink.